Join us for an evening tasting organic wines, here at the shop, and taste some seasonal delights from Unicorn’s alcohol range. 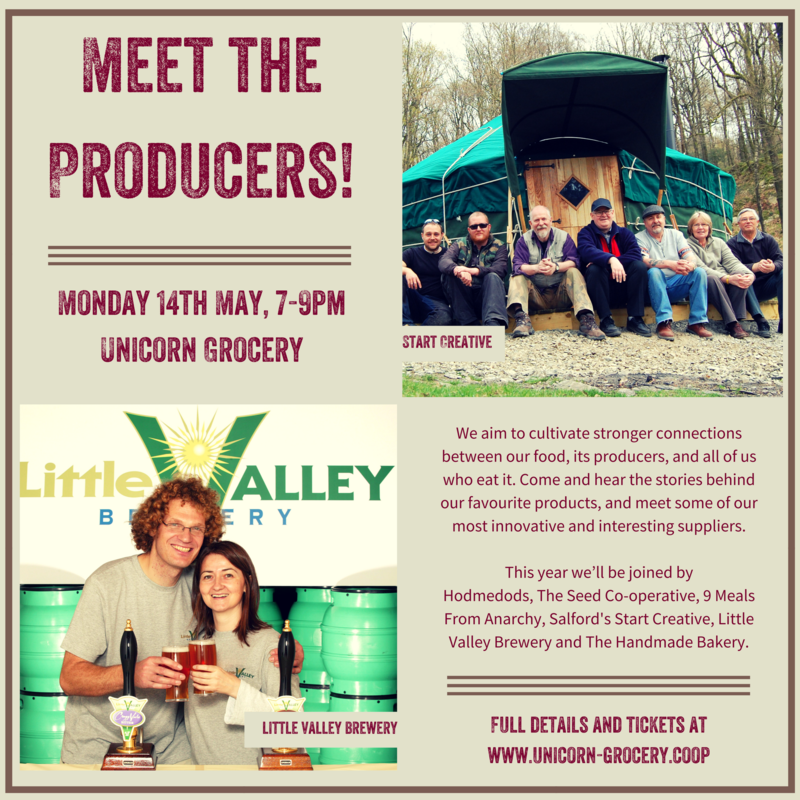 We’ll be led by Jem from Vinceremos, our main supplier and the oldest organic wine specialist in the UK (Vinceremos that is, not Jem). 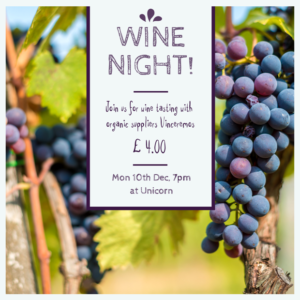 As well as sampling the wines, we’ll hear about the organic vineyards they come from, and what makes organic wine different. Please note, although you will receive a confirmation email when registering online, there is no need to print this. You’ll simply be added to our registration list and we’ll check you off at the door. To buy a ticket online, make sure ‘shopping basket cookies’ are enabled on our site. To do this, click on the little triangular ‘C’ tab at the bottom right-hand corner of the screen and turn ‘shopping basket cookies’ on (then close the pop up). You can turn them off again later if you want! Alternatively, pop into the shop and buy a ticket in person.